In this work, we investigate collagen protein powder (CPP) extracted from chromium leather scrap waste (CLSW). The composition and molecular weight distribution of CPP were determined by elemental analysis and sodium dodecyl sulfate-polyacrylamide gel electrophoresis (SDS-PAGE), respectively. The microstructure and size distribution of CPP were then characterized by scanning electron microscopy (SEM) and nanometer analyzer instrument. Finally, CPP was treated with corn starch (CS), and the swelling behavior of the resulting CPP-CS blend was investigated in order to determine its range of applications. The experimental data showed that CPP contains 13 different amino-acids. CPP also displayed low mineral salt levels and a nitrogen content of 43.84%, indicating its potential use as an organic fertilizer. The molecular weight range of CPP is 6.5 to ~ 26.6 kDa. After the obtained CPP was blended with CS, the CPP-CS blend is endowed with optimal swelling properties and is able to overcome the solubility drawbacks of CPP alone. In addition, when the CPP was used as a natural fertilizer, the germination rate and height of kidney beans obviously increased. The authors thank Lianfeng Chemical Ltd. for supplying the raw materials used in carrying out the experiments. 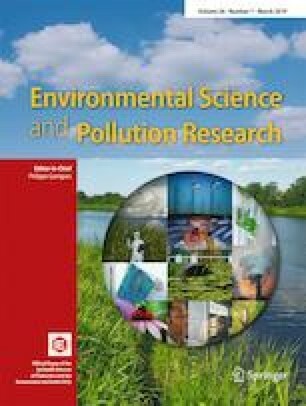 This work was supported by Graduate Student’s Research and Innovation Fund of Sichuan University (No: 2018YJSY087) and Natural Science Foundation of China (51703100).